On our morning walk, Miga and I encountered these beauties grazing under the palm trees in front of the northwest end of the beach. Samara Bay has 7 kilometers of light sand for strolling, stretching from the village of Cangrejal past Samara to the fishing harbor at the southeast end. 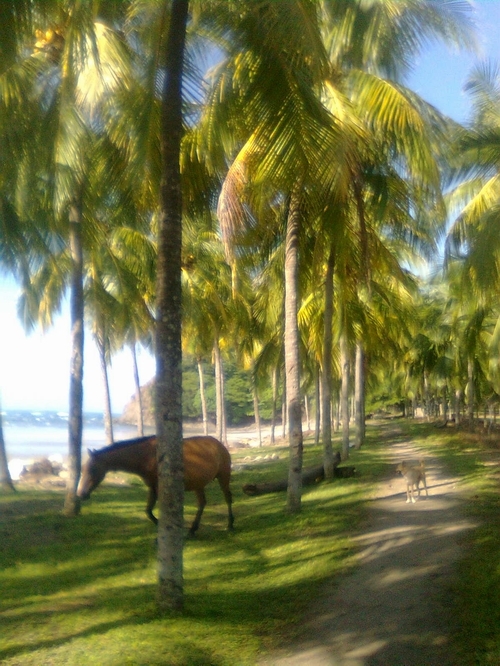 Horses and dogs roam freely throughout the tides.